There is over 1 k hospitals in Poland with 200 k hospitals beds. The Act on the Network of hospitals adopted in 2017 has changed the profile and principles of providing healthcare services in Poland for the next 4 years. Its goal is to streamline the process of providing healthcare services by hospitals and hospital outpatient clinics. The objective is to optimize the number of specialist wards and better coordinate hospital and outpatient services. The network comprises of hospitals of particular importance for ensuring access to healthcare services to patients. Financial liquidity and stability of the networked entities is to be guaranteed by the government. Hospital’s qualification to the network system will give it a guarantee that the national payer (NFZ) will conclude an agreement with it – without the need to participate in the competition process. The interesting observation can be made when we compare the hospitals included in the network and the number of hospital beds. The graph below shows, that main focus of the legislator was placed on the largest hospitals in Poland with min. 500 beds (84% of all hospitals with min. 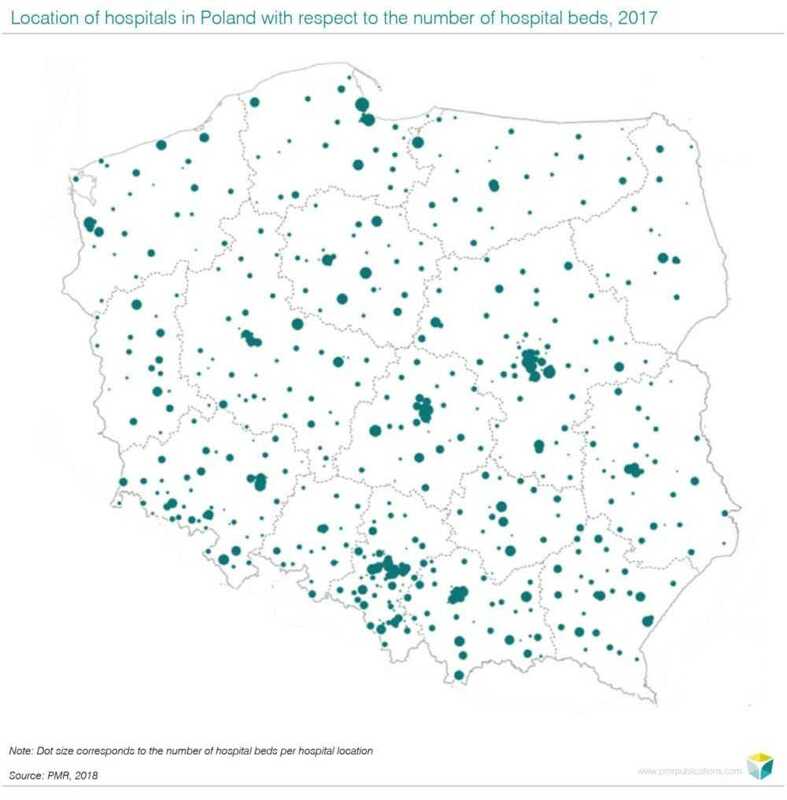 500 beds in Poland) and for hospitals with 200 – 499 beds (78% of all hospitals if that size in the country). Hospitals in the network obtain a contract with National Health Fund (NHF ) on a lump sum basis, which will be calculated based on data concerning services provided and reported by a given hospital in the previous settlement period. Around 91% of resources that are now dedicated for financing hospital treatment will be allocated for the operation of the new system. On average, 50% of hospitals per voivodship across Poland was included in the network. The overview for the whole county is presented on the map below. Hospitals currently in the network constituted 93% of all hospitals that had organized tender purchases for medical equipment in the years 2013 – 2016. 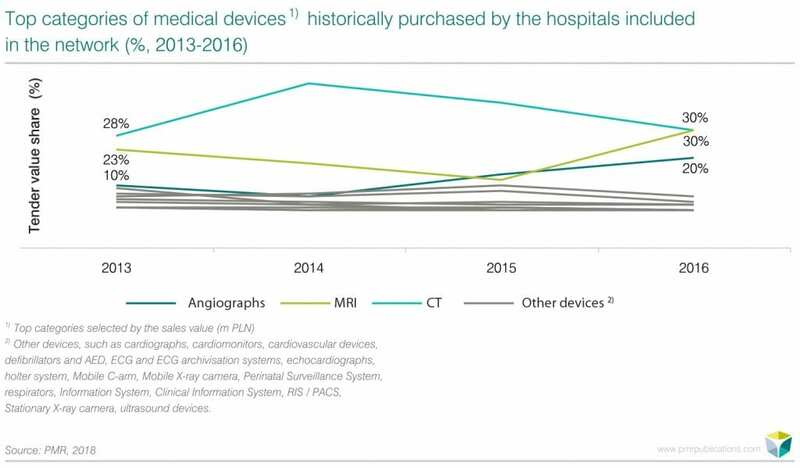 There has been observed a raising trend in hospitals’ purchases on medical equipment between the years 2013 – 2015 by 7 to 8 p.p. of annual growth. In 2015 there was a pick in spending of the analysed hospitals reaching the level of more than 660 M PLN. Since 2016, the hospitals speeding on medical equipment dropped significantly by 13%. 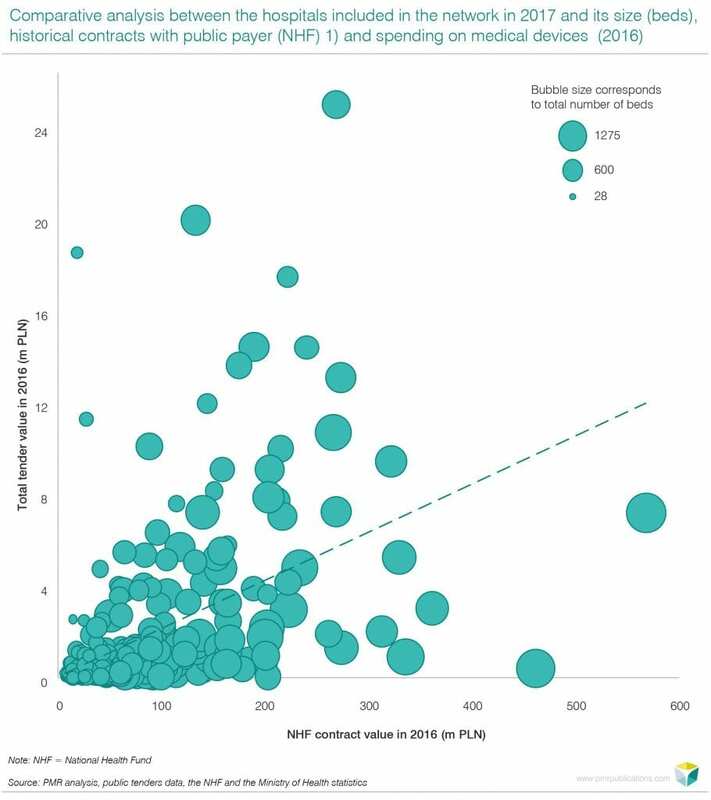 There can be observed a linear correlation between the value of the NHF contacts signed with the analysed hospitals, its size (number of beds) and spending value of medical equipment in 2016. The higher contract and the bigger hospital is, the higher spending on medical devices was observed. From the suppliers of medical equipment in Poland point of view , that segment of hospital customers was the most attractive one. Below we present the data on purchases of the selected medical devices between the years 2013 – 2016. The top categories of medical equipment, that sales value constituted 80% of all purchases in monetary terms made by the network of hospitals in 2016, were CT, MRI and angiographs. From one hand, CT and MRI devices are one of the most expensive ones that influenced the results. But, on the other hand, PMR surveys shows those diagnostic devices are one of the most needed by hospitals, thus tenders were organized to fulfil the shortages in the devices instalment base of hospitals. The highest pick in purchases of CT was observed in 2014, when 47% CT (115 m PLN, 33 units) was bought in tenders. Since then, the number of purchased CT has dropped, but still 28 new CT has been purchased in 2016 for the value of 88 m PLN. The purchases of the two other top categories, MRI and angiographs, has been growing, but with different pace in the years 2013-2016. The year 2015 was the time when the declining trend for MRI was reversed and purchases went up from 12% (47 m PLN, 10 units) to 30% (87 m PLN, 16 units) in 2016. Analysing the same period of time, purchases of angiographs has showed a consequent growth up to 20% in 2016 (21 units for 58 m PLN) with small drop noted in 2014. 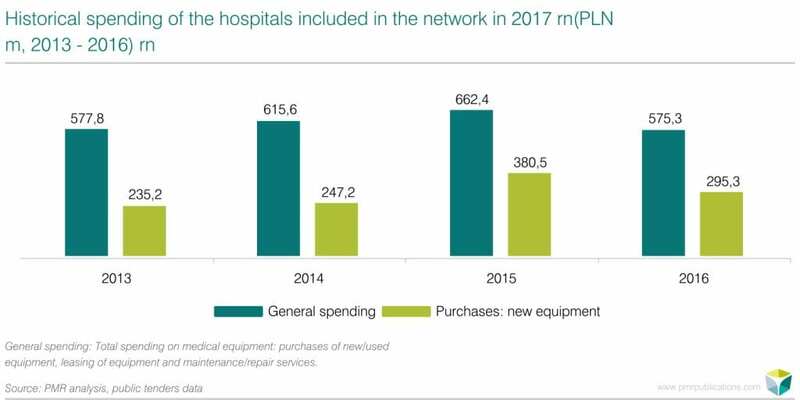 The further analysis of hospitals in the network and their spending should be performed to see if the presented above trends will sustain in the next four years. If you liked the article and you are looking for more data and analysis, contact with us.